Buying a property is a major decision. There is a lot to consider. The whole process, beginning from selecting a piece of property to receiving its keys, could take months or even years to materialize. The entire journey is exciting for some, but yet, could be overwhelming especially to first-time buyers. Today, information on properties are abundant as we live in the information age. We have the luxury of receiving almost everything that we need to know on a single piece of property at the palm of our hands. Thus, the issue is not on the lack of information. Rather, it is whether we have the wisdom to process and interpret the limitless amount of information available. Why do You Want to Buy a Property? 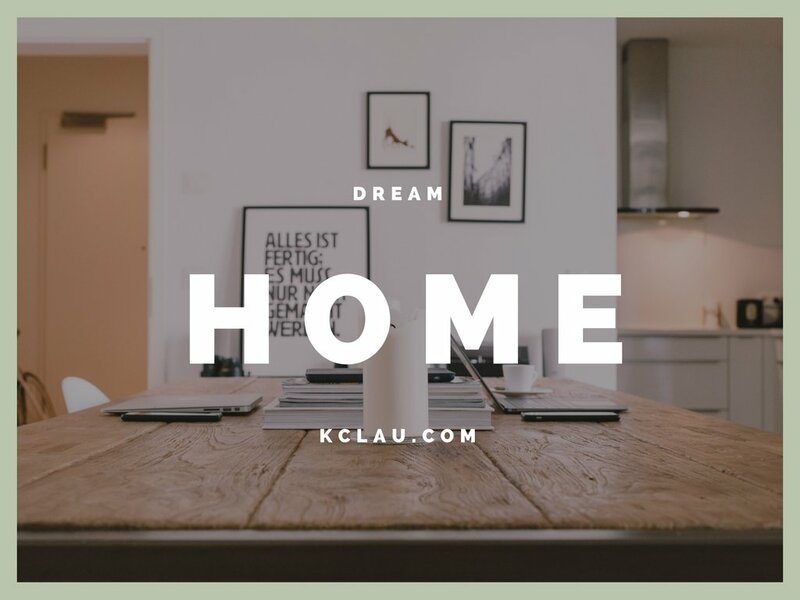 Are you looking for a place to call home? Or, are you looking for an investment property? The consideration is different. If you are buying a house to stay, your consideration may be influenced by your current lifestyle. Where do you work? Do you have kids? Is the house located near the school where your child is attending to? Meanwhile, if you are looking to invest, your consideration is determined by your investment objectives. Are you seeking for high rental yield? Or, are you looking for capital appreciation? The property selection is different. For instance, if you seek stable rental yield, then, you may search for a property in a matured neighbourhood where rental demand is sustainable. In contrary, if you seek capital growth, you may be interested in a property situated in a new location with potential to grow in the future. Here, I’ve produced a simple video to demonstrate how you can easily calculate the amount of mortgage you can borrow. What Type of Properties do You Prefer? For instance, if the amount you can afford is under RM 500,000, then, you have lesser choices. Perhaps, you may start with a flat or a medium-cost apartment if you prefer a property located in the Klang Valley. Obviously, if you can afford up to RM 1 Million, then, you have more choices. You may choose to shop for a few units of medium-cost apartments or settle with a condominium or even a terrace-house. Needless to say, if you can afford beyond RM 1 Million, you may even choose to invest in commercial properties. Should I buy Under-Construction Properties or Existing Properties in the Sub-Sale Market? Once again, it depends on your objectives for buying a property, how much you can afford and the amount of cash-in-hand. There are pros and cons associated to both under-construction properties and existing properties. Let me elaborate briefly. For instance, if you intend to receive immediate rental income from your property investment, then, you may search for an existing property in the sub-sale market. You may even prefer a property that is currently tenanted. In this case, you may need to prepare more cash-in-hand to place the down payment for the purchase of your property and to pay for legal fees and stamp duties for both the sales & purchasing agreement (SPA) and the loan agreement. Meanwhile, if you don’t have much cash-in-hand, you may opt for under-construction properties. This is because, today, most developers are offering discounts, rebates and incentives to absorb the legal fees and stamp duties for the SPA and the loan agreement. However, you will not enjoy immediate cash returns from your property as it is still under construction. Instead, you will be servicing partially the interest of your loan while your property is being built. Here, PropertyGuru.com.my has built a collection of reviews on new property projects. It contains almost every information you need to know about the project. This includes its project details, location, and its analysis. I believe, you don’t need to be the expert of every single location to hunt for a good property. Most likely, if you are reading this, you are already an expert in your own backyard. For instance, if you live in Subang Jaya, you would know intimately the whereabouts of nearly every school, hospital, shopping mall, and the best ‘makan’ places in Subang Jaya. You should leverage on this knowledge as it is helpful in searching for your suitable piece of property. Also, if you’re really a ‘Budak Subang Jaya’, then, it makes sense to expand your search to locations such as Petaling Jaya, Kelana Jaya or Shah Alam. It may be less practical to find a property in Ampang, Cheras or Seremban if you are not familiar with it. For a start, you may check out the property search engine available on PropertyGuru.com.my. Presently, PropertyGuru.com.my has launched the ‘My Dream Home’ Campaign. It is to assist you in buying the right piece of property by using the search functions, independent reviews, market outlooks, guides and some user-friendly tools by PropertyGuru.com.my. 2 replies to "5 Tips to Narrow Down Your Search for a Suitable Property"
Thank you for this detailed and helpful article. I managed to choose the right house i want with the help of this article before applying for a loan. I’ve been browsing through some comparison websites like this https://loanstreet.com.my/home-loan , and they have a system that helps me estimate how much i will need to save every month and whether i am eligible to apply for a loan. I managed to get a loan for an existing house in the sub-sale market and i am very happy with my decision. Thank you! I am Mrs R. I wonder what is the best way to do full settlement for a home loan? Is it better do 90% of capital repayment and left around 10% or Lump sump payment for capital to get the best rebate.